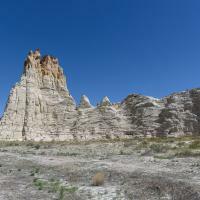 White Rocks is a low-traffic site. 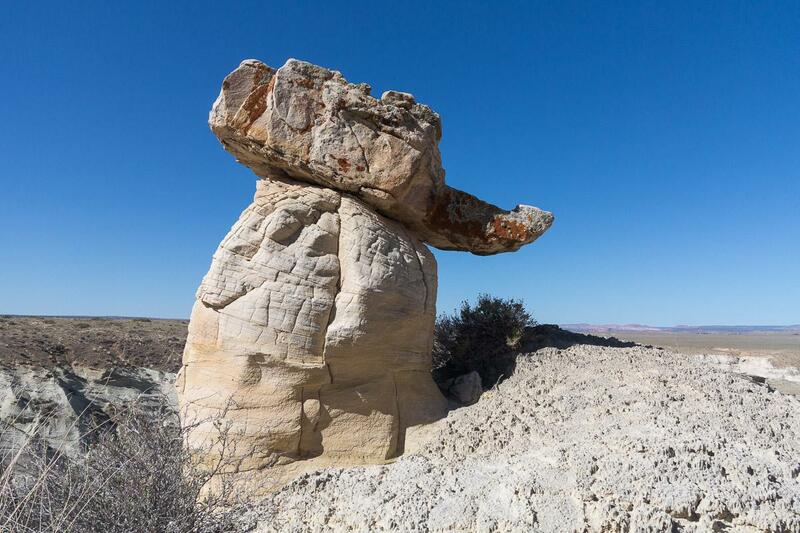 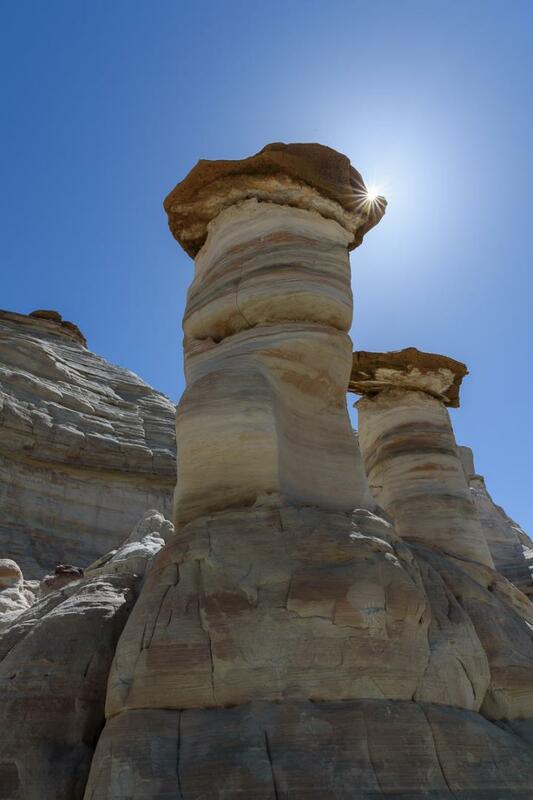 It must be said that to see hoodoos in the region, there is easier. 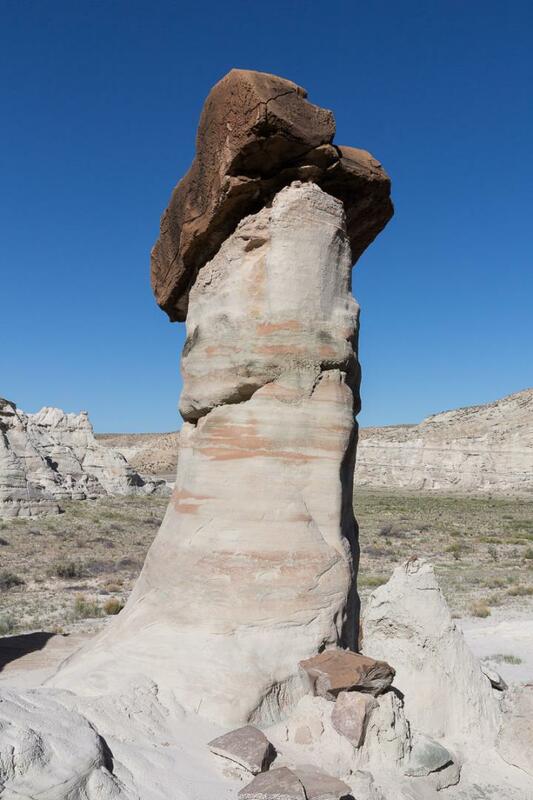 Attention, it can be very hot on this site and there is no shade. 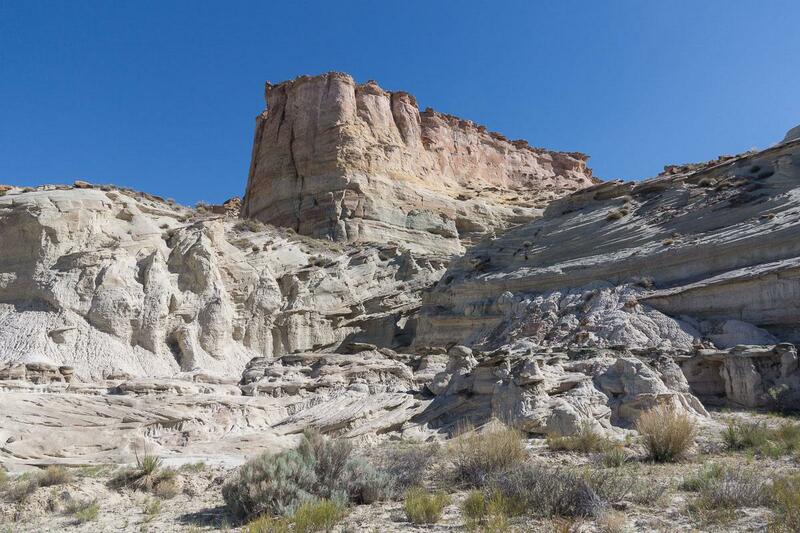 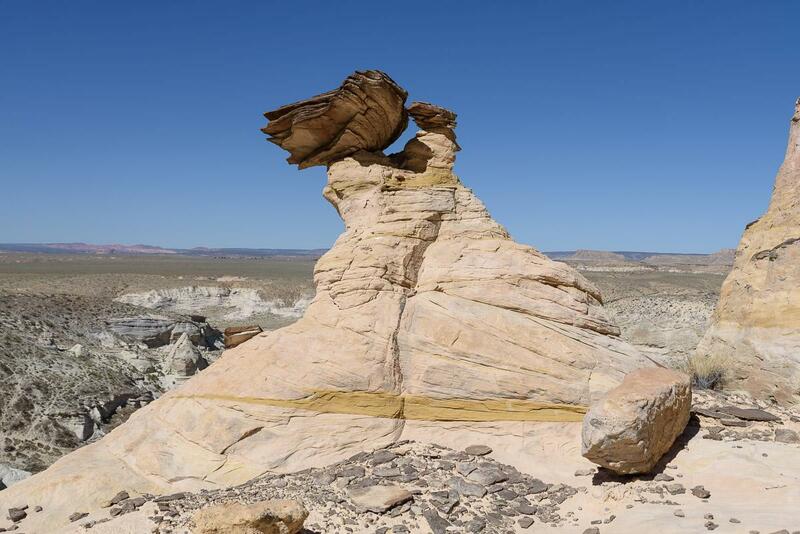 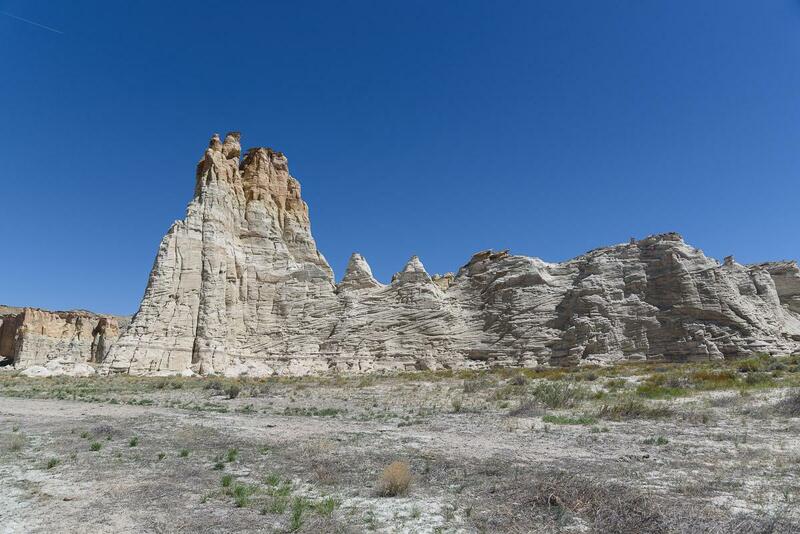 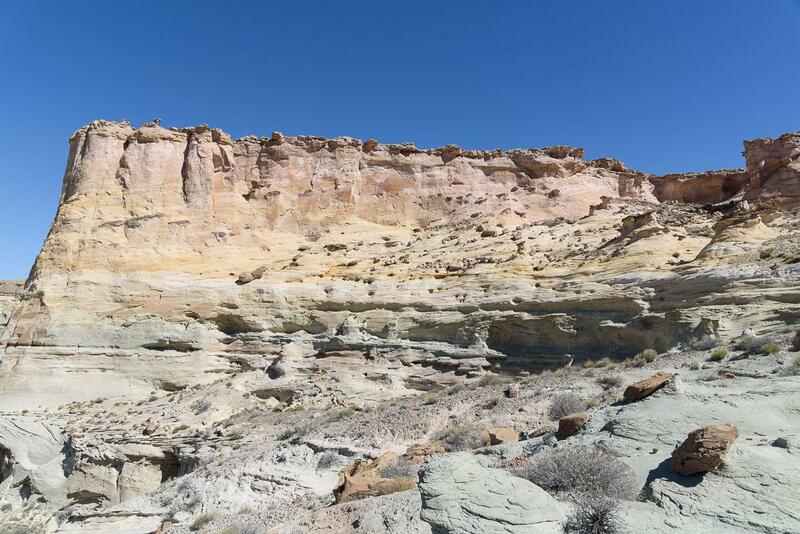 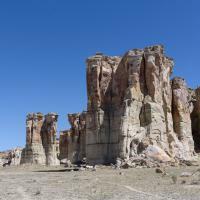 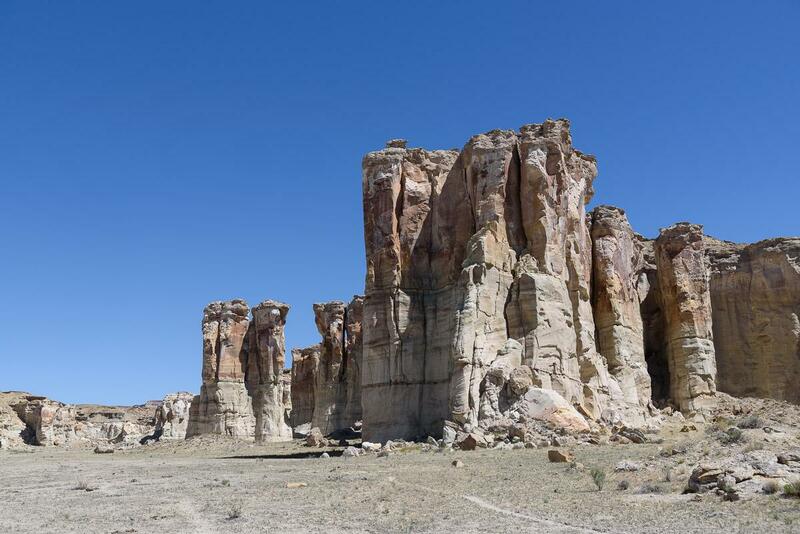 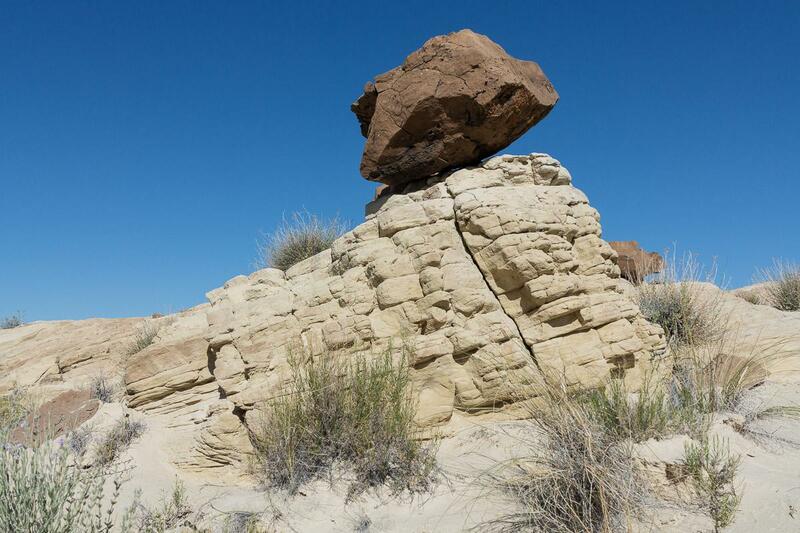 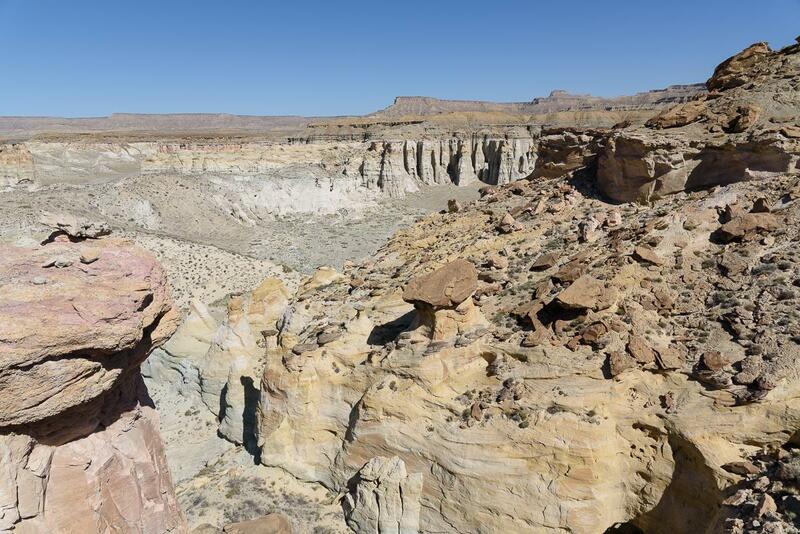 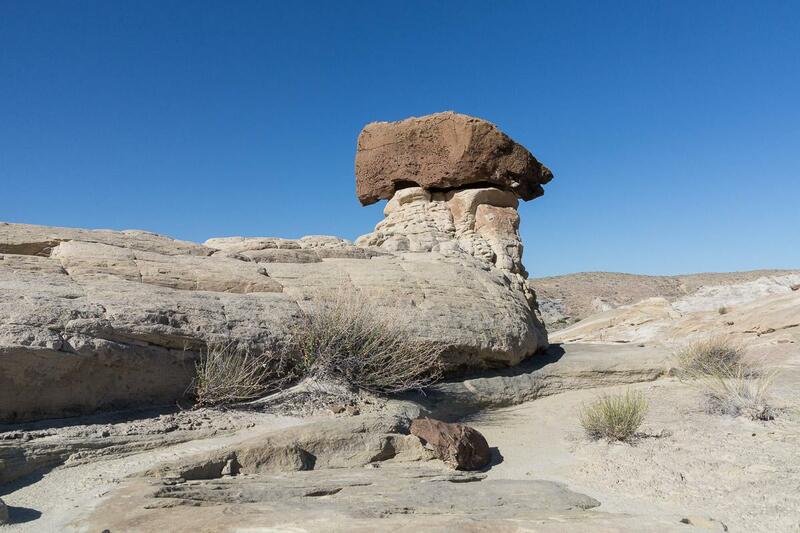 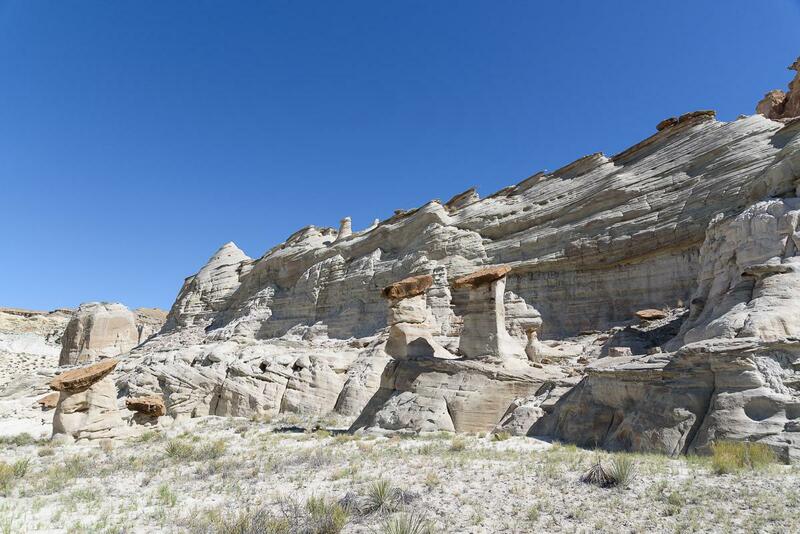 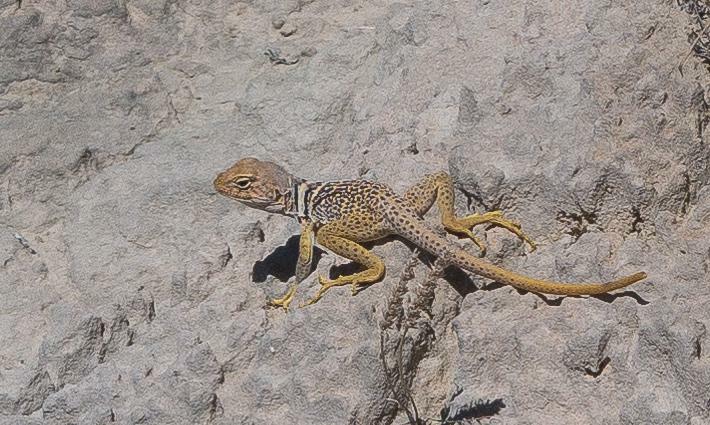 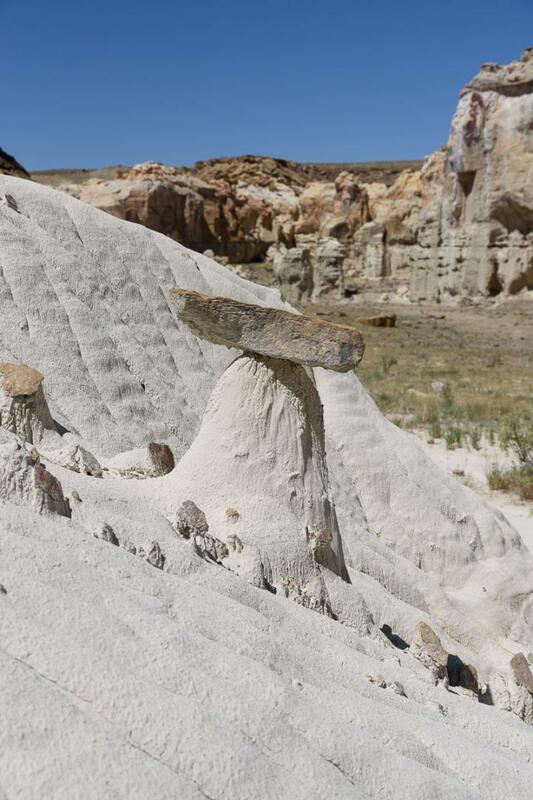 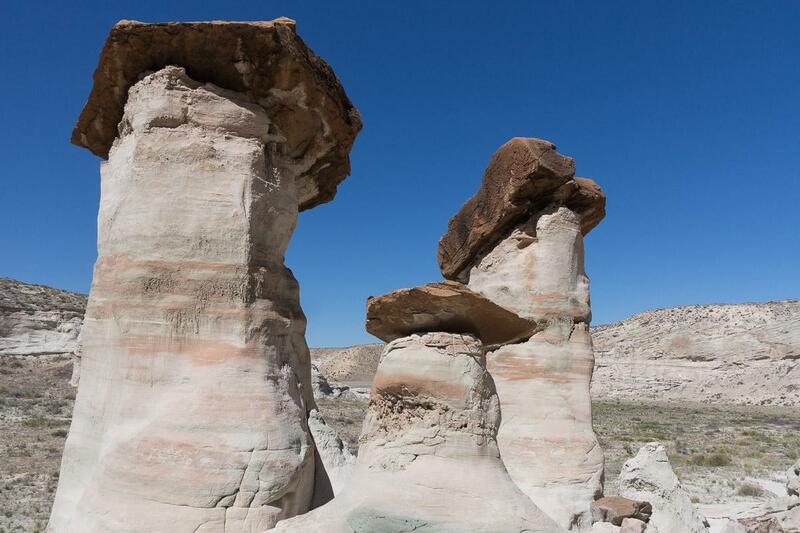 To see the most important hoodoos group, you have to go 1,9 miles. 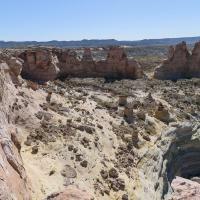 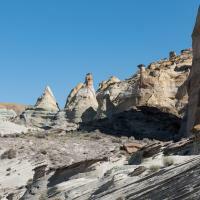 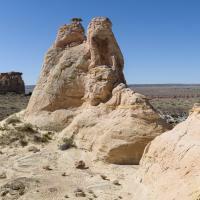 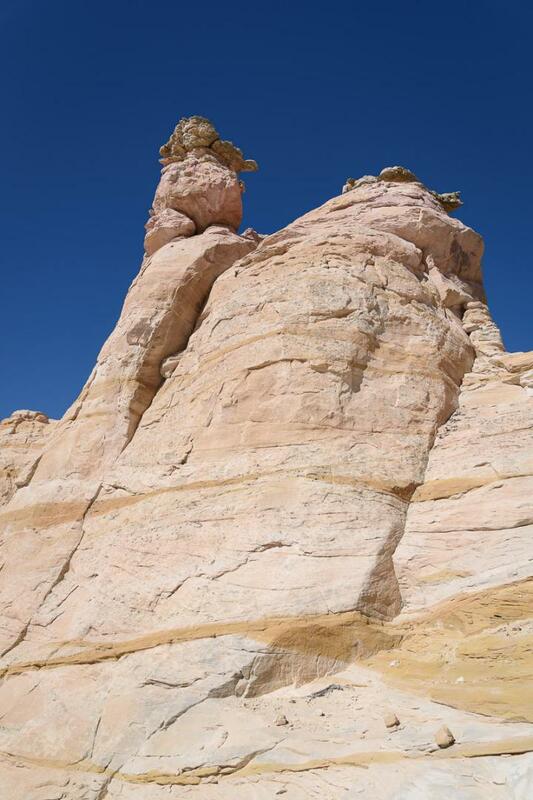 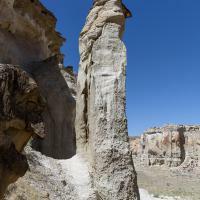 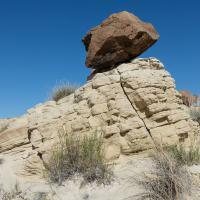 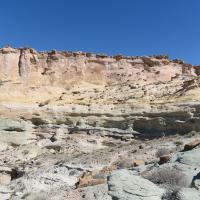 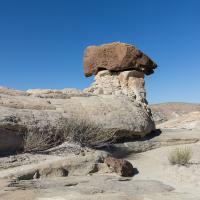 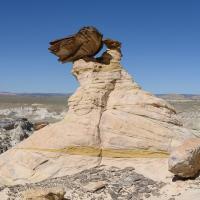 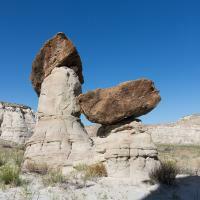 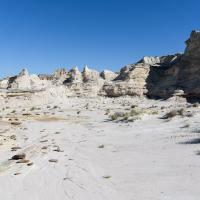 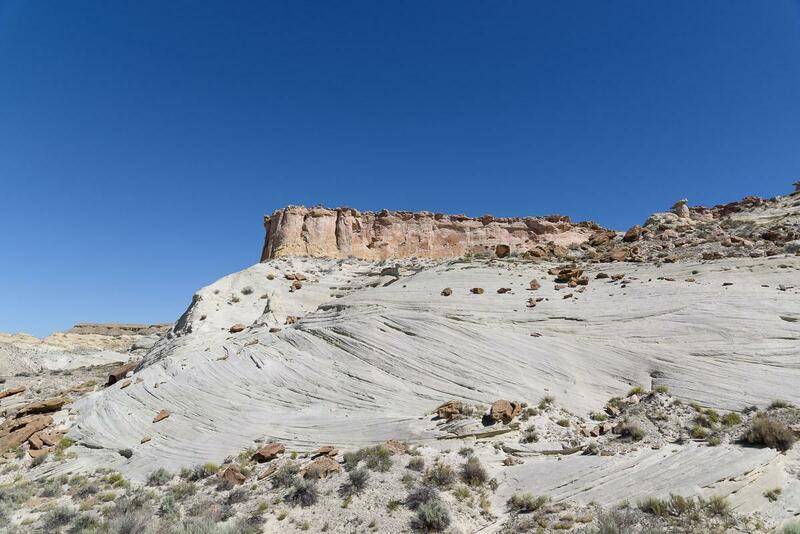 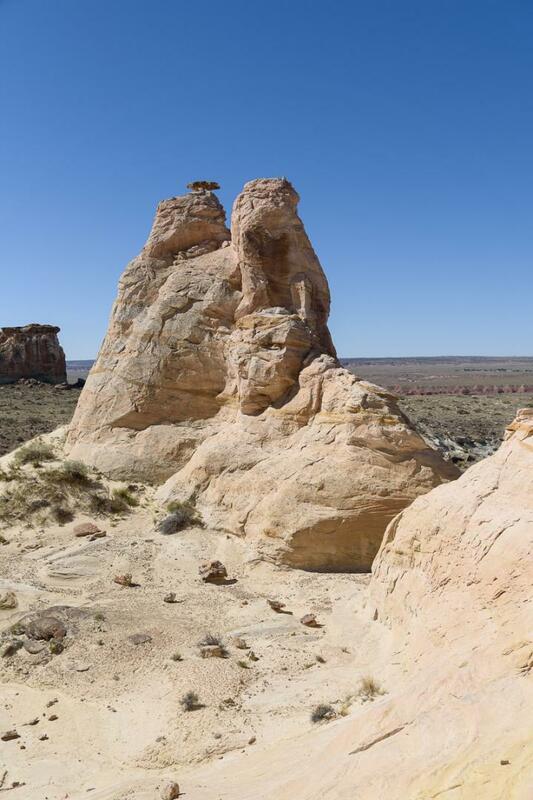 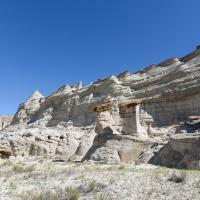 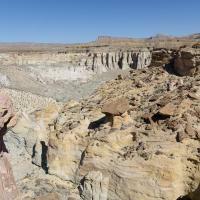 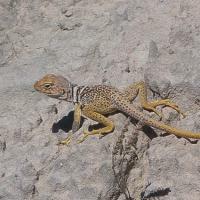 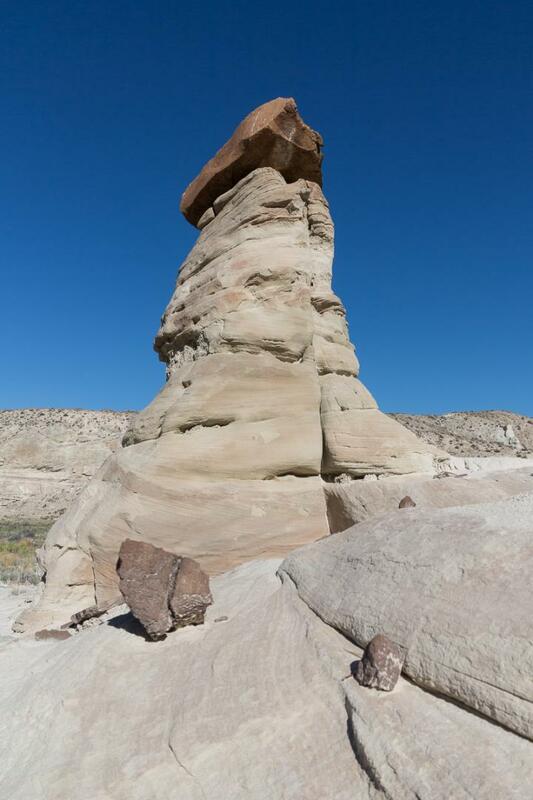 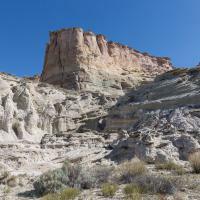 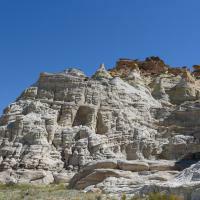 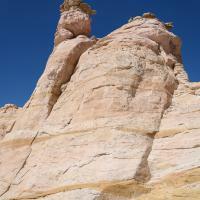 However, you must find a path to go up hoodoos that can be seen from below. 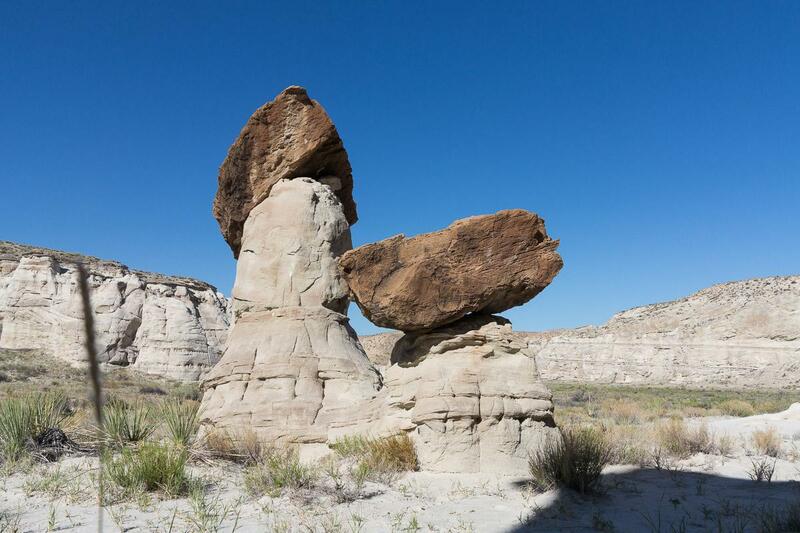 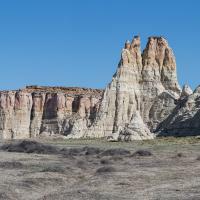 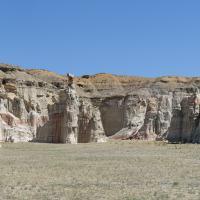 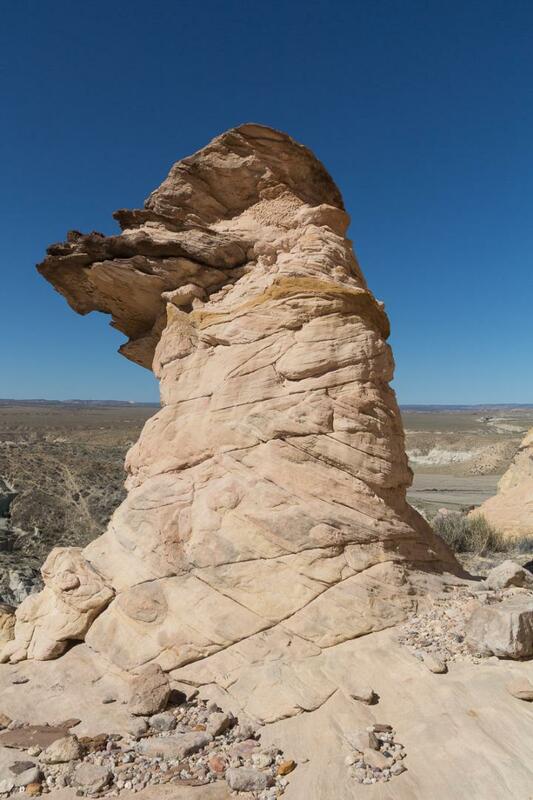 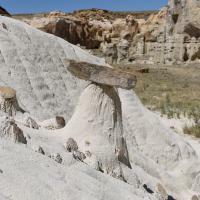 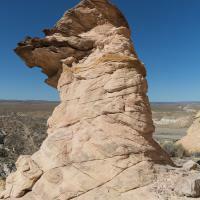 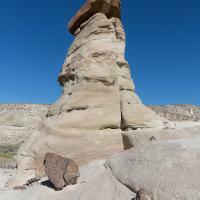 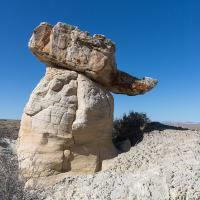 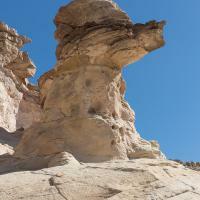 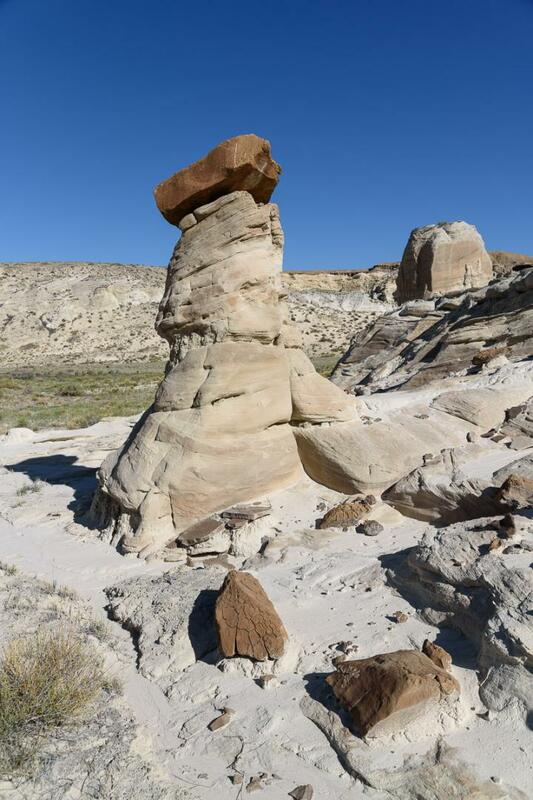 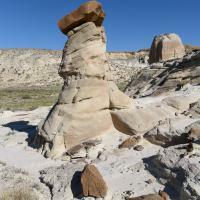 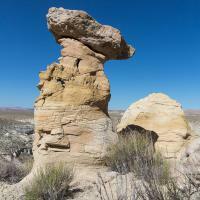 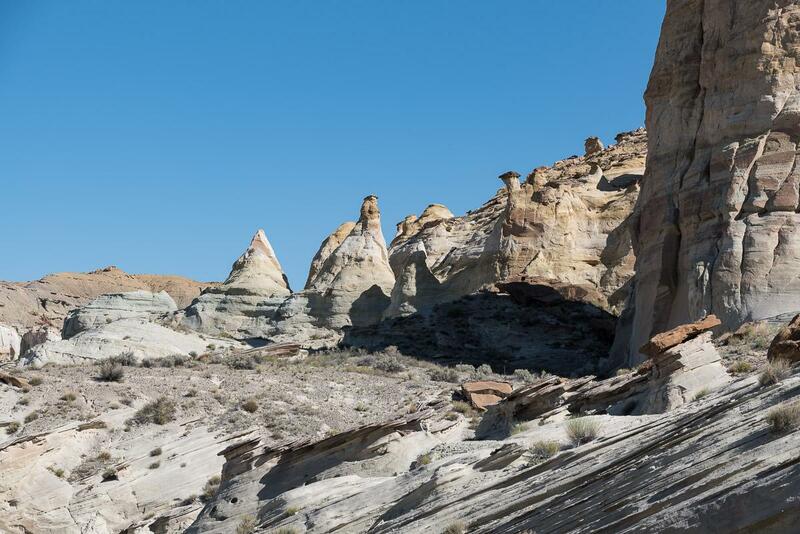 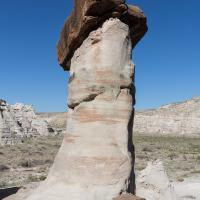 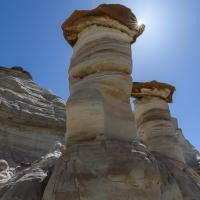 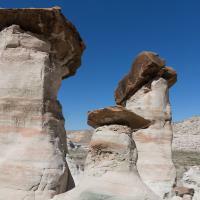 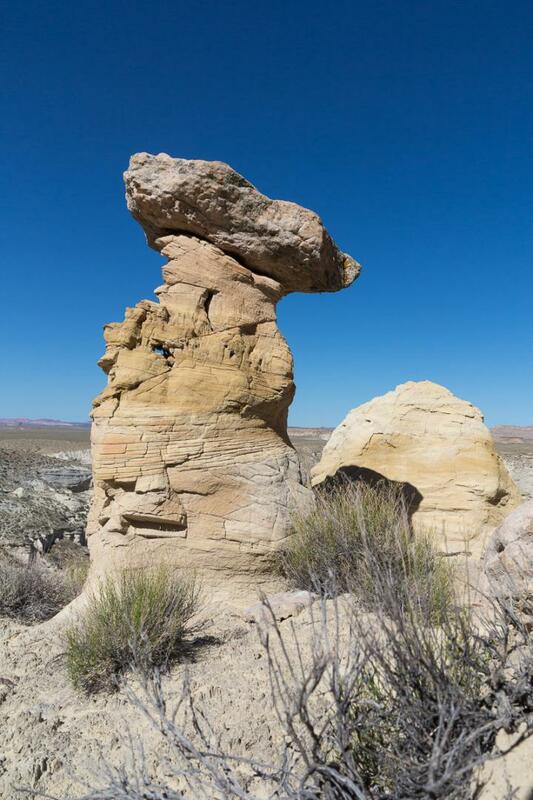 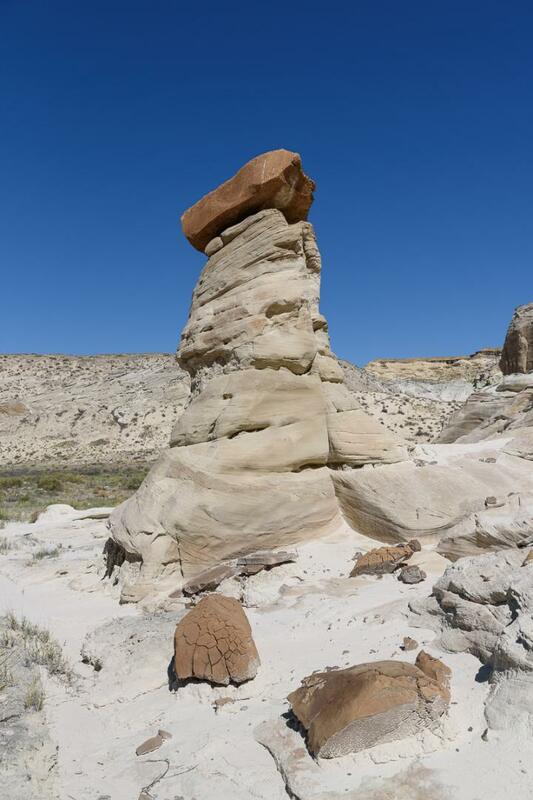 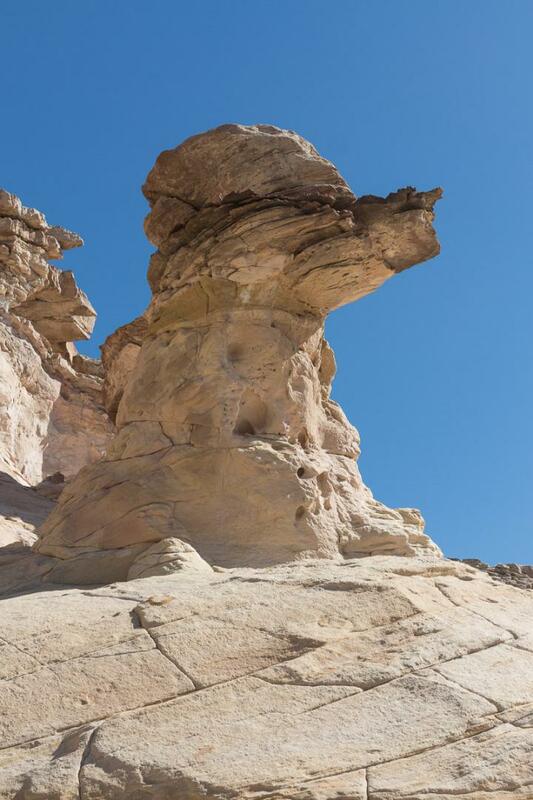 Hoodoos come in a variety of sizes and shapes. 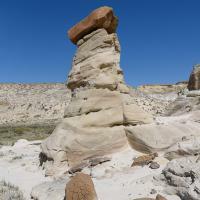 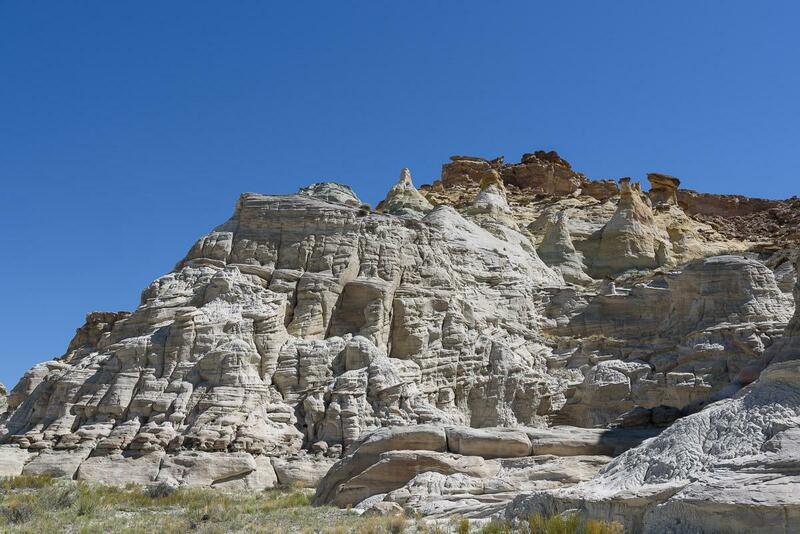 You can hike up to 6,8 miles round trip (which we did) but you do not see much more hoodoos. 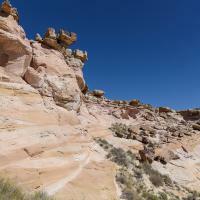 The return seems interminable, especially since the hike has very little interest. 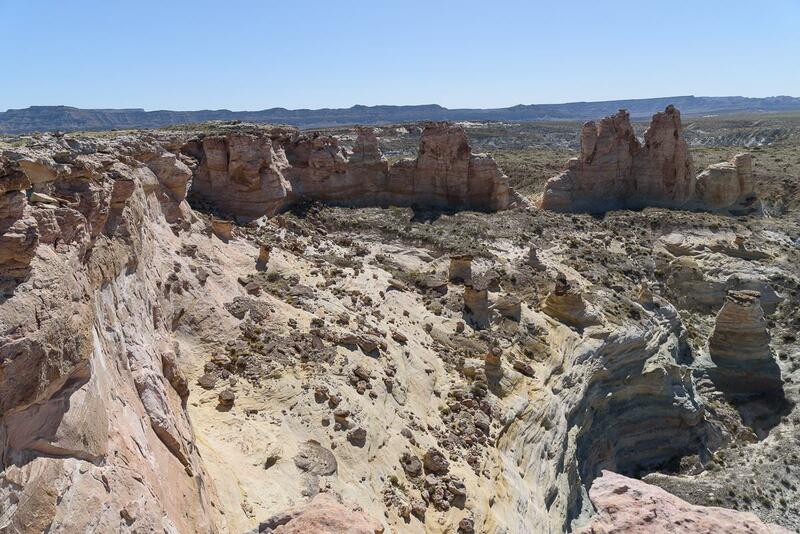 Access : from Glen Canyon Dam in Page, take US89 North for 20 miles to the city of Churchwell. 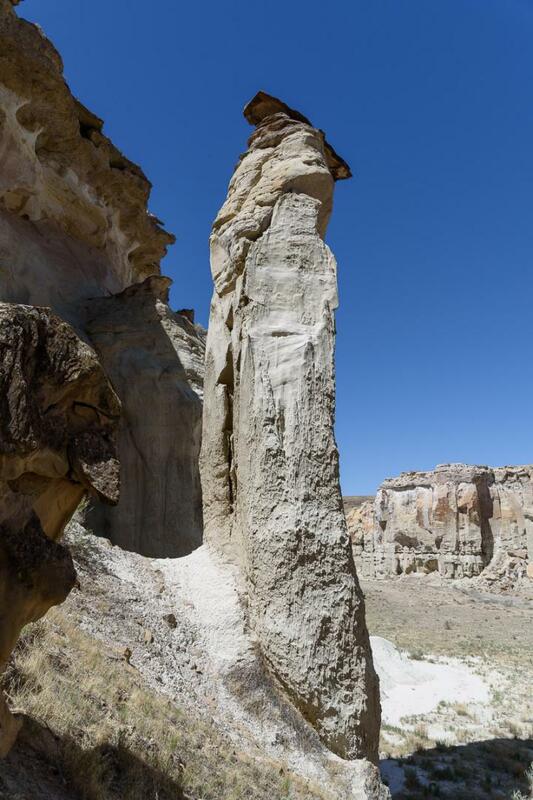 Turn right on Wells Street for 1 mile. 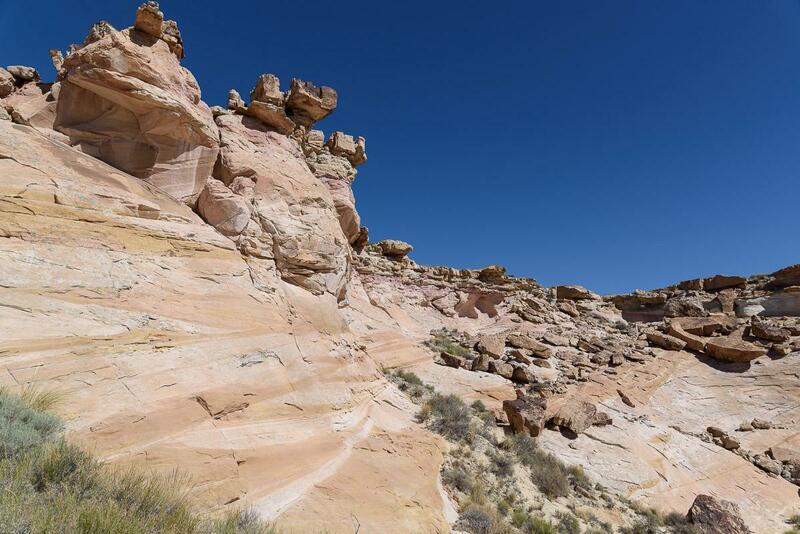 At the end of this street, pass the cattle fence and continue on the track to the right. 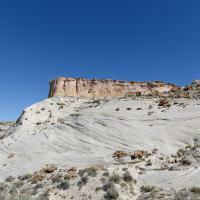 Follow the track for 2.3 miles. 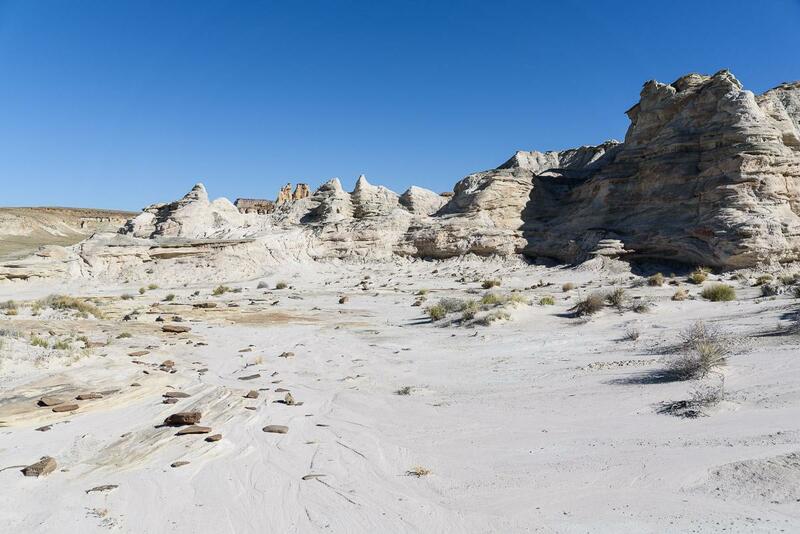 We arrive at a wash. Cross this wash if it is dry, otherwise continue on foot. 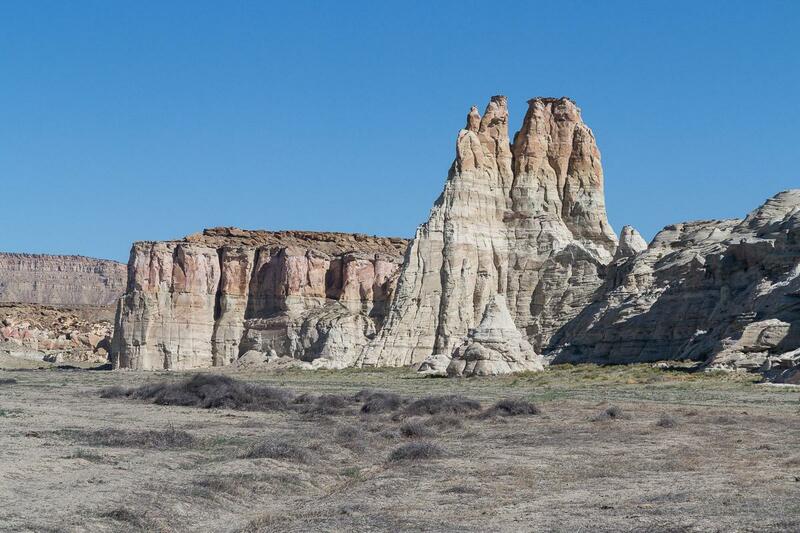 The parking is located 1 mile after the wash.